March 14-22 is Shakespeare week, an annual celebration of William Shakespeare. What a perfect opportunity to introduce your children to Shakespeare, if you have not already! When did you first learn about William Shakespeare? For me, it was high school. I enjoyed reading Shakespeare at that time, but I can still remember the grumbling from many of my classmates. Looking back now, I have to wonder what would have happened if we had all dabbled in Shakespeare as children. After all, children love to learn, play, and imagine. They are little sponges, soaking up everything around them. 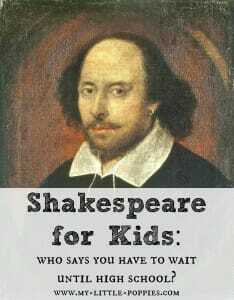 Why do we wait to introduce Shakespeare to a bunch of unwilling adolescents? Who says you have to wait until high school to enjoy a little Shakespeare? I’m not a fan of making kids wait until school is ready to teach them something. If a child is interested in a given subject, I like to let them have at it. Now, I am not going to sit here and pretend that I am an expert on William Shakespeare. Folks, I am not. But that doesn’t mean I can’t learn alongside my children with a little help from fantastic books. In honor of Shakespeare week, I am deep into the book How to Teach Your Children Shakespeare by Ken Ludwig. This book has been on my wish list forever. 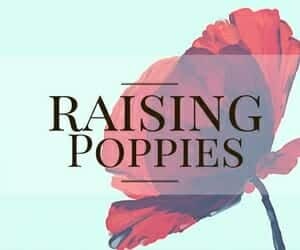 It is one of those books that has been recommended to me countless times by fellow homeschooling parents. I recently jumped at the opportunity to review this book so stay tuned! I’m not finished with the book yet, but I’m thoroughly enjoying what I’ve read. The author, Ken Ludwig, is an internationally acclaimed playwright, Shakespeare enthusiast, and father. He has shared Shakespeare with his children from the very beginning and, in this book, he coaches us to do the same. 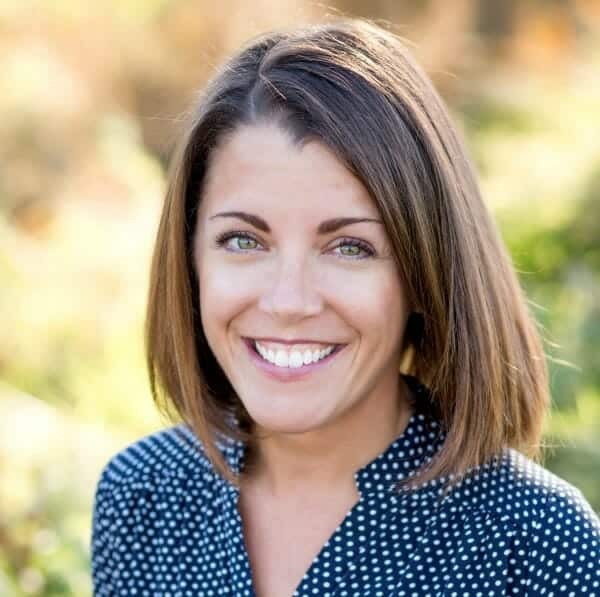 Ludwig weaves characters, storyline, poetry, memorization, cultural references, and listening skills together to create an easy-to-follow and engaging guide for parents. You do not have to have any background in Shakespeare to enjoy this book. I’ve written more about this particular book here. I’ve mentioned before that my children love illustrated classics and our love for Usborne internet-linked nonfiction books. 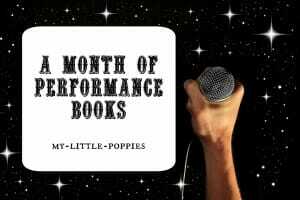 Well, today I’m sharing some of our Shakespeare-related favorites! I love, love, love the internet-linked books from Usborne. I could go on and on and on. 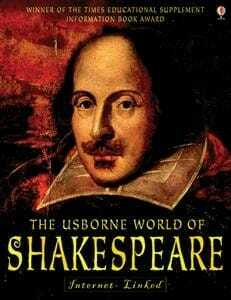 This book is an award-winning introduction to the life and times of William Shakespeare. Your children will be fascinated by how old these stories are, and will want to learn why they are still popular! I had to add this one in just for fun. My kids have loved I Spy-type books forever. They adore the 1001 series from Usborne; our copies are tattered and well-loved. 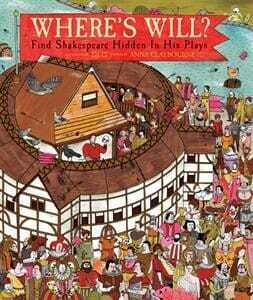 Well, in this book your child must search for Will… William Shakespeare! 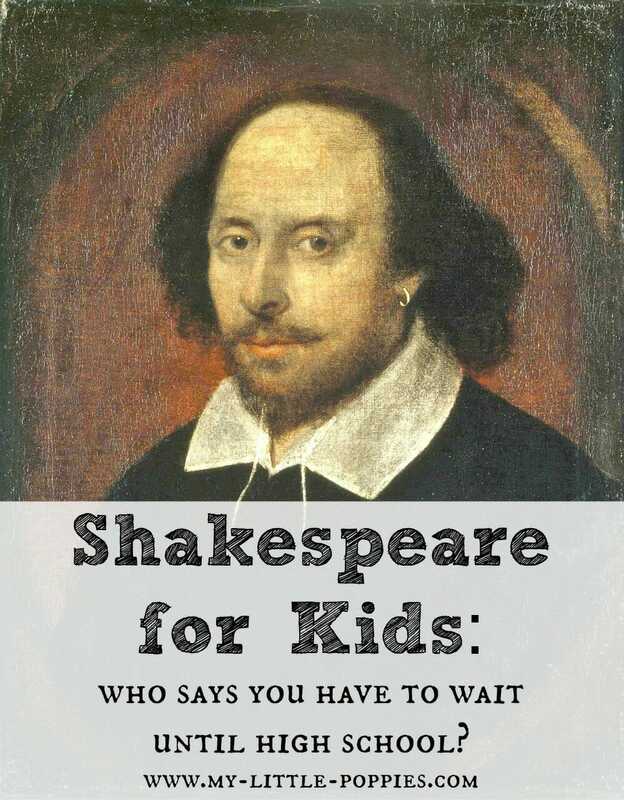 Your children will search through ten of Shakespeare’s best-known plays while they hunt for Will and several other characters. So silly and yet a wonderful way to incorporate material recently learned! If you’re looking to add more fun into your Shakespeare unit study, be sure to check out the sticker activity book, too! Nope, I’m not kidding. 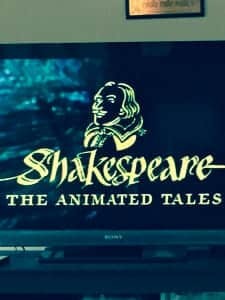 There is an animated Shakespeare collection and my children love it. I love it, too. A variety of animation is used throughout the collection and that alone is fascinating. Animation enthusiasts would love this set, I’m sure! Dabble in Shakespeare with a low-stress mini-unit study! My children are 7, 6, and 4-years-old. 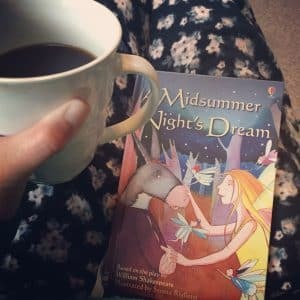 They love the Shakespeare Usborne books that we have, and we read them often. That said, they are young. We can dabble in Shakespeare and have fun with it. Whatever we do now will serve as a foundation later, when they can comprehend more of the vocabulary, story, and nuances. And so, we dabble. And we strew. 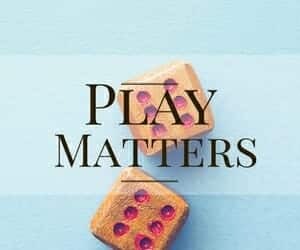 And we play. And, lo and behold, my children are learning some Shakespeare! Recently, we skipped town to enjoy the foliage and peace north of here. I didn’t pack much in the way of homeschooling materials. I did, however, pack the aforementioned Shakespeare resources. We read one illustrated classic each day and watched the corresponding animated video each evening. I also strewed the internet-linked text and the Where’s Will book. I did little else, but learning happened, as it always does! And, in between the reading and the viewing, we played. We built fairy houses and went on hikes and colored and explored. During that play, learning was happening. That fairy village was full of mischief, from spells to star-crossed lovers to potions. Our hikes included sword fights and fairy sightings. My kids started using the word prophecy in sentences… correctly. The children started putting on plays and performances. Take the learning one step further: Act it out! We have yet to actually do this, but I have plans to add a bit more structure to our play time. It would be so much fun to use our puppets, or even just ourselves with a little help from the dress up bin, to act out one of our favorite plays. Talk about tying it all together! Tell me, folks: Do you wait until school is ready to teach your children something they show interest in? 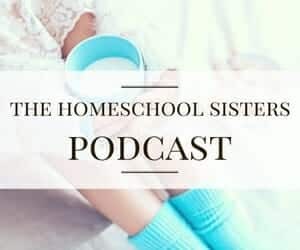 What have your children learned lately that is not typical? I love those usborne books! I’m adding them to my wish list now! Thanks for sharing. Hi. What does internet linked book mean? Internet-linked books have internet links in them. You can go online to watch videos and read more about a given topic. They are fantastic! 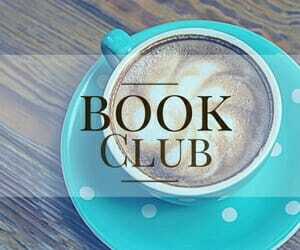 Just discovered your blog through the Poetry Tea Time group! This post comes at the perfect time! 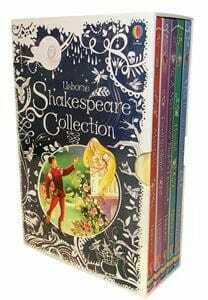 I’m planning a Shakespeare party in honor of his birthday and was having a hard time finding younger/elementary versions of his stories. I think the Usborne collection may be perfect! I wanted to read one of his stories aloud at the party. Wonderful! 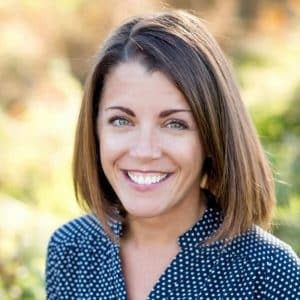 Let me know how the kids like it!